South Dakota Secretary of State Shantel Krebs spoke to the Winner High School government class on May 12. She told the class when she was 18 years old she served as a page in the legislature. “That spurred my interest in politics. Since that time I have been actively involved behind the scene in many campaigns,” she said. Krebs served in the legislature for 10 years prior to running for secretary of state. “I ran for secretary of state because I did not agree what was going on in office. I wanted to make a change,” she explained. Krebs told the students it is important for them to vote and that every vote does matter. She encouraged the seniors to download the mobile app Vote 605. Here persons can view a sample ballot, find a polling place, view legislative districts, access county auditors and gather absentee ballot information. 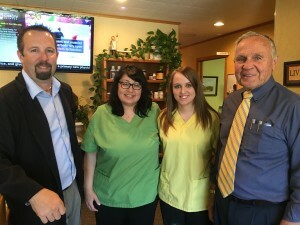 Fogel Chiropractic Clinic, led by Dr. David Fogel and Dr. Jerry Fogel of Gregory, South Dakota, becomes one of the first chiropractic organizations to achieve NCQA Patient-Centered Connected Care Recognition. Best Practices Academy™ is proud to announce that Fogel Chiropractic Clinic of Gregory, has achieved the Patient-Centered Connected Care™ Recognition, a program launched by the National Committee for Quality Assurance (NCQA). David Fogel, DC and Jerry Fogel, DC achieved recognition for their practice located in Gregory. 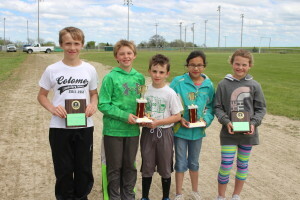 Named the best female athlete at the Colome Field Day on May 11 was Breanna Thieman. The second grader placed first in all events. There was a tie for first place for best male athlete between Seth Heath and Joseph Laprath. The placed first in the 50, 100, 200, 400, softball throw, chin-ups and long jump. Preslie Petersek was the girls chinup champ. She did 11 chinups. The boys chinup champ was Riley Shippy with 19 chinups. Winner/Colome baseball team closed out the regular season with an undefeated 10-0 record. 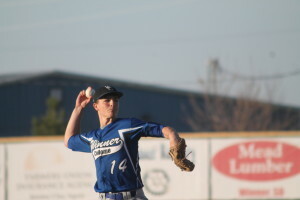 Monday, May 9, the Royals defeated Platte 5-2. Winner High School boys track team won first place at the Kimball meet on Friday. The Warriors scored 161 points. The Winner girls team took second with 136 points. 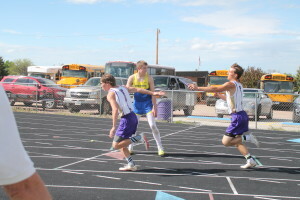 Winner High School boys track team won the SESD conference meet held in Winner on May 10. The Warriors scored 111 points for first place. The Winner girls team took 7th with 41 points. Mt. 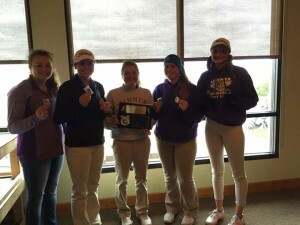 Vernon/Plankinton won the girls division with 180 points. Two conference records were broken. 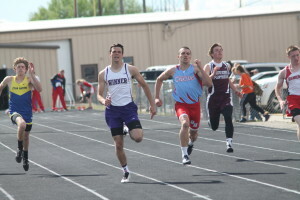 Winner’s Cameron Kuil broke the boys 100 meter dash record as he crossed the finish line in :10.68. The Winner junior had a sweep of the sprint races as he also won the 200 and the 400. 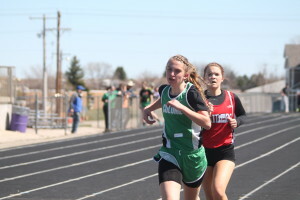 Ronae Klein was the medalist at the Winner Invitational track meet on Friday. Klein shot a 45. The teams only played 9 holes due to the cold and windy conditions. Winner won first place and the team title. Winner swept the top five placings. 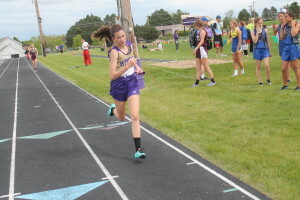 Liz Jankauskas was 2nd, Addy Root, 3rd; Samantha Marts, 4th; and Brennan Bachmann, 5th. Colome girls track team took 3rd place at the Kimball meet on Friday. The Colome boys placed 4th. Funeral services were held May 16 at the Episcopal Church in Winner. Burial followed at St. Mary’s Cemetery in Wood. Tim Roubideaux was born on November 7, 1955 in Mosher, SD to Charles and Virginia (Williams) Roubideaux. He was raised in Winner and attended school in Winner and worked various jobs throughout the area. He also attended Mitchell Vo-Tech and earned a Certificate in Welding. 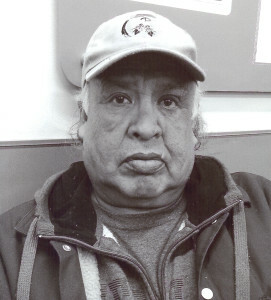 He enjoyed family gatherings, powwows, watching softball games, working on cars, reading and most of all he enjoyed spending time with his grandchildren and children in whom he took great pride in. He will be greatly missed by many. Clifford Klein of Hidden Timber passed away April 12, 2016, at Pine View Good Samaritan Center in Valentine, NE. He was 93. Celebration of Life will be held at Trinity Episcopal Church, Winner, SD, on May 21 at 10:30 a.m.
Clifford Klein was born at home near Valentine on June 14, 1922, to Coral (Hobson) and George Klein. The family moved to Todd County, SD, shortly thereafter and lived on rented farms before finally settling on Rock Creek, south of Hidden Timber. Clifford attended country school and graduated from Mission High School in 1938. Following graduation, he began farming and ranching with his father and brother Lawrence. In early 1945, Clifford volunteered for military service in place of his drafted brother and chose the Marine Corps. His military service included a tour of occupied China where he earned the rank of sergeant as a telephone man. Following his military service, he returned to the family farm. In the fall of 1949, he re-connected with JoAnn Kositzky of Winner, SD, the sister of his good friend Paul, at a dance on Dog Ear Lake. They were married Sept. 30, 1950, in Winner, and moved into the home he built for them on the farm. JoAnn and Clifford raised three sons: Robert, Jim, and Milton. They were particularly proud when all of their sons and grandchildren received their college degrees. Clifford became a supervisor of the Todd County Conservation District, a position he held for over 30 years. During that time, he served on the South Dakota Association of Conservation Districts’ board of directors, as vice president, and as president. He was also a member of Trinity Episcopal Church, was a 32nd degree Mason at the Mission Masonic Lodge, and American Legion Post 90. Clifford was happy to help his family with their building and electrical wiring projects. He helped to build or remodel homes for his sisters, in-laws, and for his sons. Clifford loved his work on the ranch. He often told folks he’d rather drive a tractor or ride a horse than anything else. 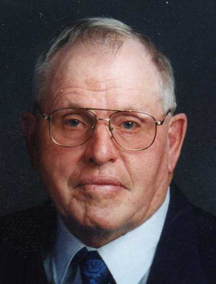 He took pride in being able to plant corn in straight rows and was proud of the improvements the Kleins made in their land and cattle. Clifford and JoAnn traveled to Europe to visit Milton during his Army service. They also enjoyed travelling in the United States, sometimes on conservation business, sometimes to visit family. Clifford never met a stranger and would strike up a conversation with anyone he met. In his seventies, a series of strokes affected his speech, a real blow to a person who loved to talk. During his later years, he was debilitated by worn-out joints and bones from decades of hard work and unforgiving farm equipment. In 2006, Clifford and JoAnn moved to Cherry Hills Assisted Living in Valentine. JoAnn passed away in December of 2007, and Clifford later moved to Pine View Good Samaritan where he passed away April 12, 2016.